Doing a bit of a tidy up recently I found a folder with some old poems of mine inside. I think some of them should have a life outside the folder. Here’s the first. Originally an attempt to sound a little like Wallace Stevens. 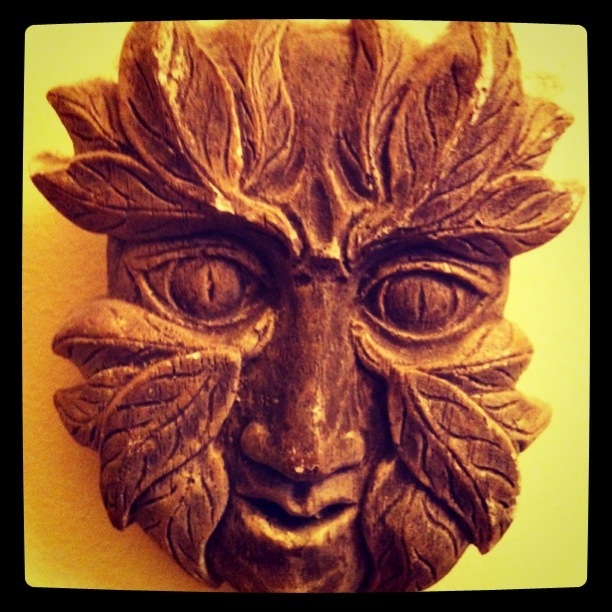 If the Green Man woke again, what then? A wretched slice of history? Or would he kick the can and break his foot? A search for poetry or poetry in search of him? Are these the drunkenness of Spring? And what is he: this dreamy pagan relic? A scarecrow awakened in the mist? Ten phrases carved in stone? The way a beggar bangs a pot? A universe in seven days? The way a ploughman pulls the plough? ← An ill-fated encounter between a pompous git* and a pram. a marvelously crafted poem. splendid piece. I’ll try and get some new ones posted soon. divine poetry, keep it up. Hope to see you join poets rally. May I please invite you to join us for Thursday Poets Rally week 38, where all of your entries are to be fully represented after the collection is over. Link one of your poems via the link below and enjoy encouragements from fellow poets.